Goonhilly Village Green 2 is an experimental cross-disciplinary project supported by Arts Council England, Heritage Lottery Fund, FEAST, Ernest Cook Trust and the Elmgrant Trust, devised by artists Sara Bowler and Elizabeth Masterton and led by Sara Bowler and curators Field Notes. Building on a successful Pilot project in 2015, Goonhilly Village Green 2 will offer people the opportunity to discover the area through a range of activities; sharing stories and exploring ideas about art, science and nature. Eight regionally connected artists have been commissioned to create new work for the project which will take place on 18th May 2019, on Goonhilly Downs on the Lizard Peninsula in Cornwall. The place ‘Goonhilly’ is, of course, Goonhilly Downs on the Lizard Peninsula, Cornwall, UK. The Drytree menhir, or standing stone, actually marks the convergence of five parish boundaries, but as those who live locally know, Goonhilly itself has no central village. Most of Goonhilly’s residents live around the edge of the Downs, with visitors who come to work or explore. 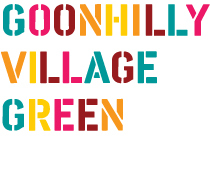 The aim of Goonhilly Village Green is to draw together this diverse range of people and interests to meet, talk, learn and play on a temporary village green on the Downs; to find common ground on the common land of National Nature Reserve. 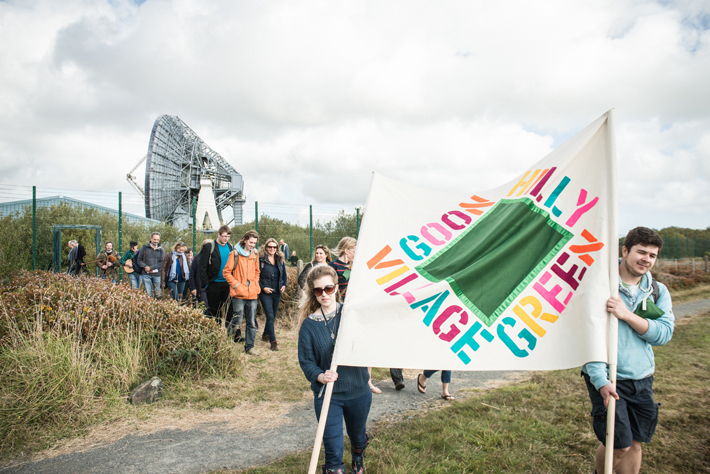 The 2019 Goonhilly Village Green Gathering will take place on Goonhilly Downs on Saturday 18th May. Over the next 6 months, artists Paul Chaney, James Hankey, Sara Bowler, Beth Emily Richards and Rosanna Martin will be working with local partners Natural England, GES Ltd, Trelowarren Estate, The Museum of Cornish Life, and the Lizard Outreach Trust. Artists Oliver Raymond Barker, Phyllida Bluemel and Bram Thomas Arnold, will also be producing new work for this free public event. Full details of the programme will be announced nearer the time. In the lead up to The Gathering, there will be a community programme of free talks and workshops in the area from February to April 2019, with dates, times and content to be announced soon.